The Exit Light Company is proud to present their new line of commercial exterior fixtures with an emergency option. These products are available as a regular lighting fixture, a fixture with emergency ballast or the emergency light only. 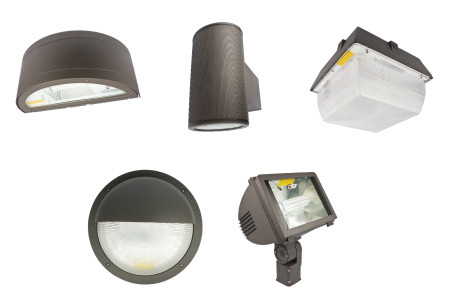 From floodlights to canopies, we carry a wide variety of fixtures to suit your application. They are architecturally pleasing with die-cast aluminum housing in a bronze finish. All units utilize CFL light bulbs and are listed for damp or wet locations. Check out the products individually on our emergency light fixtures page. Feel free to give us a call to discuss your needs and determine which fixture will fit your application!